"Pastor Stephan Chandran's farewell in Chowa before leaving for Kottayam." [English: Pastor Stephan Chandran's farewell in Chowa before leaving for Kottayam.]" "[original caption] Abschied des Pfarrers Stephan Chandren in Chowa vor sr. Abreise nach Kottayam. Indien." Title: "Pastor Stephan Chandran's farewell in Chowa before leaving for Kottayam." 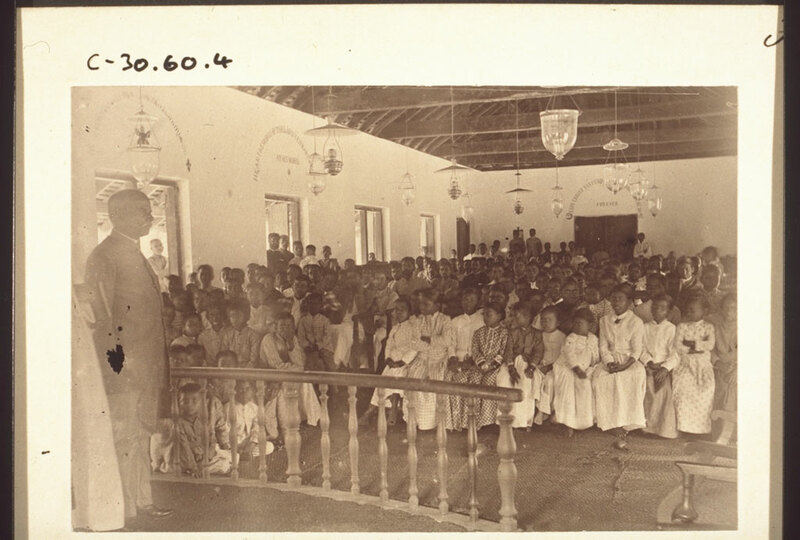 “Pastor Stephan Chandran's farewell in Chowa before leaving for Kottayam.,” BMArchives, accessed April 19, 2019, http://www.bmarchives.org/items/show/54021.